Why this breed (inka ndundi)? - taking into account the poverty of the families, it is impossible to feed cows of an improved breed, since the people don’t have food for themselves. Most families are destitute. The rearing of this breed of cows is a step towards producing an improved breed in a later stage. 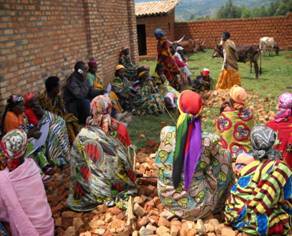 The Mbogora hill is located in the town of Nyabihanga, Mwaro province, Kirimiro region in Burundi. Mbogora has 4 hills: Nyamayomo, Ruyaga, Mbogora and Kivoga. It has a population of 1.683, divided over 308 families (caucus vzw Girakazoza 2008). Of the 308 families only 131 own a cow. The other 177, being 58% of the population, don’t own cattle, which critically endangers their food security. Main problems: food shortage, lack of clothing, want of money for health care, no means to send their children to school (mostly secondary). In the past, the project ‘Société de Recherche et Développement Kirimiro (SRD)’, already contributed greatly to the breeding projects in general. After the war of 1993, however, the sector was hit hard. All the cows were stolen or slaughtered. Livestock was virtually inexistent. Currently, agricultural production is in shambles, due to a lack of animal manure. Fertilizers are impossibly expensive, leading to nearly no harvest and repetitive famine. The British company MAPLECROFT classifies Burundi (index 2010) as one of the top 10 countries with a high risk of famine. On the other side, chemical fertilization is responsible for the destruction of the ecosystem and the burning of the earth. The rural population of Mbogora survives thanks to the basic agriculture, yet poverty runs deeply. Without cattle and cows in specific, the soil becomes exhausted. Malnourishment is rife in this regions. The dairy products, which are especially essential to children, are unattainable. Vzw GIRAKAZOZA sounded out the population about their needs to get out of the squalor. This resulted in a request to work the soil, so as to have a positive influence on agriculture and cattle breeding. If this project is financed, we want to begin increasing awareness of animal and environment protection , grow grasses and fodder crops and build stables. Also, we’re thinking of organizing seminars about the management of this project. 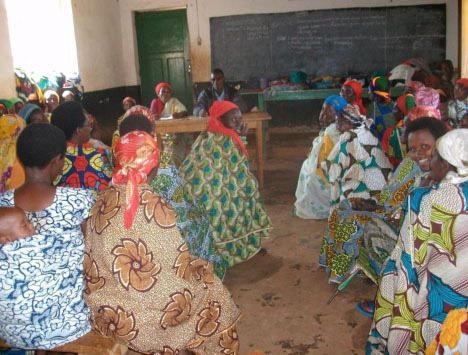 Vzw GIRAKAZOZA was recognized by the Burundi Interior Ministry on 24/02/2009. The organization has repeatedly proved its efficiency since 2003, the year when it was founded, mostly thanks to its long-term vision. Currently, the association has over 700 members, for the most part rural women. Its core is made up of university graduates, who are prepared to place their knowledge and skill in service of the development of their native villages. Farmers work alongside academics, which makes this association unique. - supply of water (final stage) to the Ruyaga hill. Despite all these achievements, the needs are still vast in this country that has only recently known war. With your support, we hope to be able to help the population by creating work in agriculture, to improve their quality of life and to stimulate reconciliation. We will buy fully-grown animals and hope that they will calve after 1.5 years. The calf will be entrusted to a family that doesn’t own a cow yet, but has enough grass and a decent stable. The first calf and the mother “basic capital” are property of the association. The first calf stays where it is born until after the weaning time. If the first calf is female, it will be passed on to someone else through a system of godparenthood. The family that is willing to keep this calf will be the first in line to receive the next first-born. If it is a male, it will remain where it is born to be sold. The profits will serve to purchase cows of an improved breed. After having her second calf (which will become the private property of the beneficiary family), the mother cow “basic capital” will remain in the family to be fattened until slaughtering time in the town. This way, the population will benefit from improved nourishment. These cows will be donated to the population, just like the animals of the local breed and by the same system. The beneficiary family can never eliminate all its cattle. Every family has to own at least two cows permanently. Thanks to this godparent system, the project can last infinitely. In the future, we expect to be able to produce cheese. I conclude here and give my sincere thanks to vzw «Vleugels van Hoop» for all the things which they have made possible and their realizations and Burundi and elsewhere. 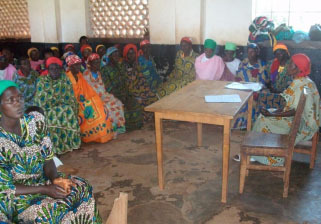 On November 21st 2010 a meeting took place with the members of the association Girakazoza (future beneficiaries of the cows) in the meeting room of the municipality Mbogora. The topic on the agenda was the exchange of thoughts about growing cows. Mr HAZIMANA Ezéchiel and Ms Lipélate, president and vice-president are leading the meeting of vzw Girakazoza. by trying to achieve the objectives of vzw GIRAKAZOZA. Other members can also obtain cows under the condition that the board of vzw GIRAKAZOZ gives a positive advice on their application. The mother-cow remains property of the association. This mother-cow will be assigned to 3 members of vzw Girakazoza. They will get, the one after the other, the 1st, 2nd and 3rd calf. to a fourth beneficiary or that the cow will be sold in other to buy another one. The period during which the first three beneficiaries obtain their calf is 5 years. Every beneficiary has a share of 5%, meaning 20.000 BuF to be paid in 4 trimesters, meaning 5 000 BUF / trimester of the total value of 1 cow, 400 000BUF. The received amounts will be put on the account of the association to manage the project. the herd. 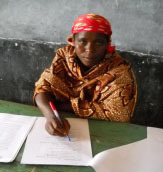 Every member-beneficiary signs a document (obligation certificate) in their own language, which is written by the vzw Girakazoza, with the aim to protect the feeding and the caring for the animal and to insure it against robbery, as well as to guarantee the daily care as stipulated by vzw Girakazoza. The health care costs for the mother-cow will be taken by the association' Vleugels van Hoop', during 1, possibly 2 years. Afterwards vzw Girakazoza will carry these costs. From tha moment that the calves become property of the beneficiaries, the beneficiaries have to pay the medical costs. A follow-up committee is established to evaluate the project and to follow-up on the physical condition of the cows. When the committee notice that the beneficiary is not taking care well for the cows, a report is made towards the vzw who can decide to assign the cow to another couple of beneficiaries. 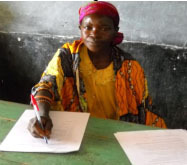 The beneficiary of the mother-cow signs an obligation certificate, which contains several articles in the local language (Kirundu) which the beneficiary has to respect. A bail will be requested. Note: It will not be accepted to take a mortgage as the property is the only wealth of the farmer. About property no negotiations will be done. The member-beneficiaries of the 2 bulls will not have calves but will receive a compensation from every beneficiary who comes to fertilise his/her cow. These costs are known by breeders and are at the moment 10.000 BuF per fertilised cow. With this money the owner of the bull will be able to purchase a cow. The association will purchase the cows starting from January 2001, at the local market. 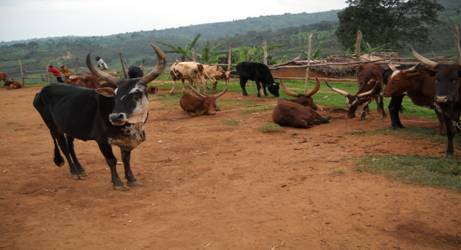 It will be cows how are mainly originating from the region of Mugamba, because these adapt the best to the region of Kirimiro. The number of beneficiaries is 87 persons. In the first phase the 20 first ones will be served. Afterwards the next 20 and so on till everybody has a calf. On Monday January 10th 2011 5 people, from which 2 members of vzw Girakazoza accompanied by people especially selected for their expertise in cow trade, went to Kiganda in the province of Muramvya, with one aim : buying cows for the female members of vzw Girakazoza. We left around 5 a.m. and after walking for about 4 hours we arrived at 09h45 a.m. The cattle market Kwibuye opens at 11h00 and we could buy 15 animals. Below you find some pictures of the local cows (Inka ndundi) which we bought on the market. Local cows (Inka ndundi) brought together by a shepherd. Awaiting to be bought they are tight up with a rope. We arrived, exhausted, with the purchased cows, in Mbogora around 20h30. Just like we did, the cows had to walk the whole way back. Before the beneficiaries could receive the cows, Hkizimana Ezéchiel , the president of vzw Girakazoao, reminds them on the conditions to obtain the cow, as well as the obligation to care well for the cows. These women are signing a contract for the cows they will take home. Next time we’ll send you other pictures, as well as a report and pictures of the second phase. Next week more cows will be purchased. 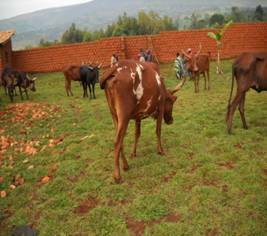 The beneficiaries of the cattle are very proud of this project breeding of cows of local variety. We should really speak of a success. The organic manure coming from the barn provides the fertility of the fields. We are milking the cow 2 times per day: the milk of the evening is reserved for household consumption and that of the morning is sold for the purpose of supply and care of the received cow. In the last report the number of cows was 22 at the start of the project in 2010 and 34 cows end 2012. Currently, the number of cows end June 2013 is 46. 12 Families enjoy already of their own calves and 12 other members have the mother cow, 6 are pregnant while 7 waiting to be linked and 8 are being cared for. 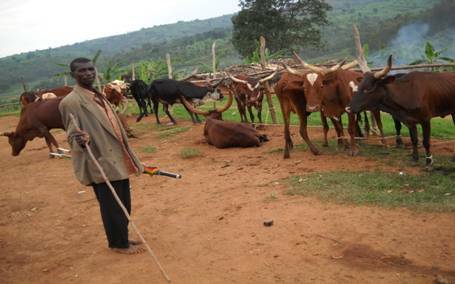 The cost of the participation of 20,000 Fbu by the beneficiaries contribute to the health insurance of the cows (basic capital) which are owned by Girakazoza asbl. In case of any sale of a cow, it is replaced immediately. - Little meadows during the dry season. - To increase the number of beneficiaries of cows with the aim of increasing the agro-pastoral production and to improve balanced food.